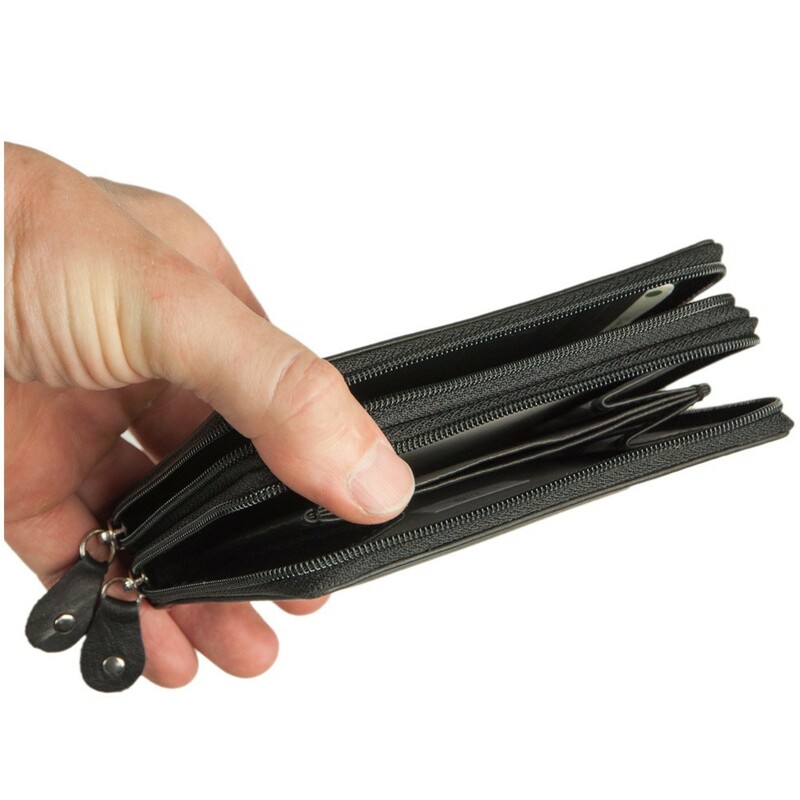 You are looking for a spacious purse without any extra gadgets, which fits a lot but still is very compact and well-arranged? 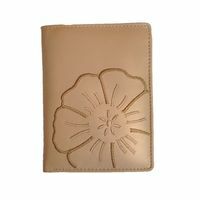 Then this beautiful, handy money holder made out of high quaality cow leather is perfect! 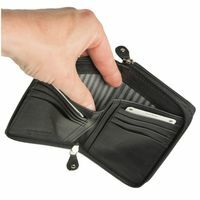 You are wondering where to put the notes, all the loose change, all the cards and the old IDs? 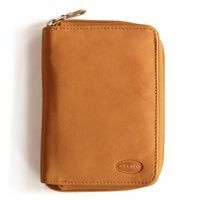 This practical pouch has got a lined compartment for notes, the large coin pocket is divided into two parts and altogether there are eight compartments for cards in credit card format. There are another four additional pockets in A7 format extra for old, large-sized IDs or vehicle documents (This statement applies to GERMAN old, large-sized IDs etc.). 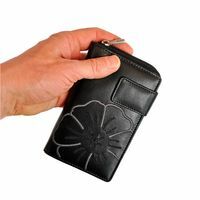 The main compartment and the coin pocket are closed by a zipper that goes all around. 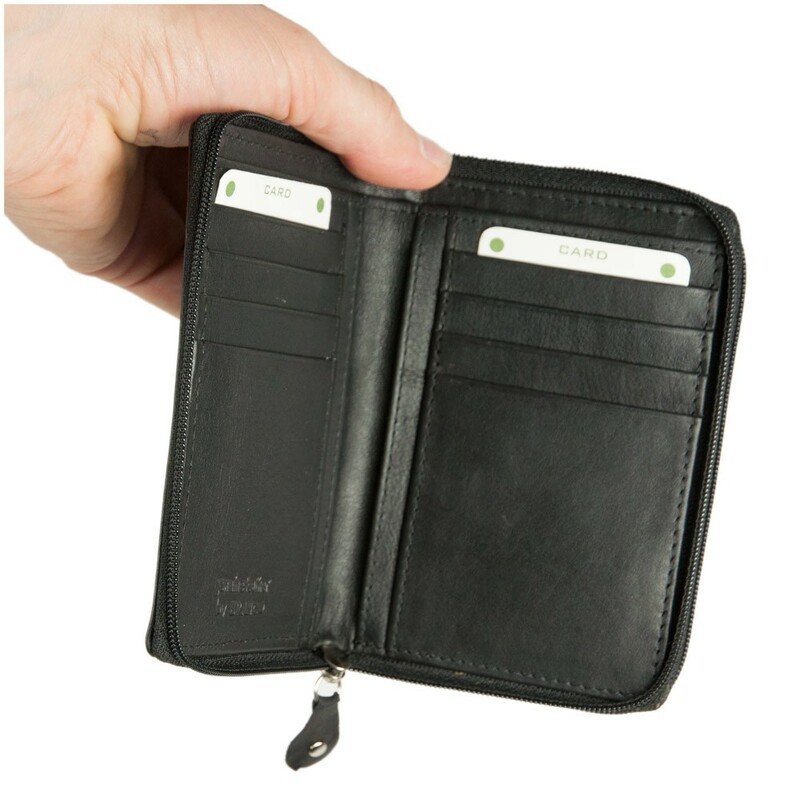 That way, your money, cards and IDs are always kept safe and discreetly stowed. 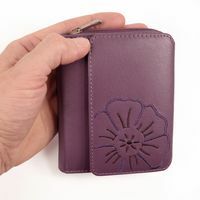 This purse offers you a lot of capacity with eight card slots in credit card format, four ID sections in A7 format and a large pocket for notes. 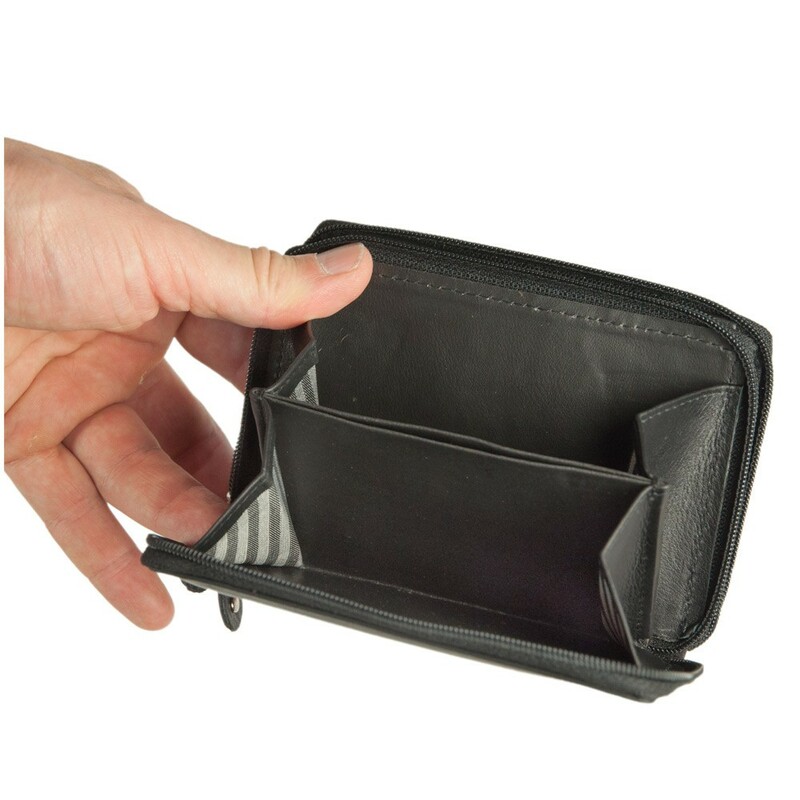 Especially the coin pocket divided into two parts finally has got enough space for all your loose change which one usually collects over time. 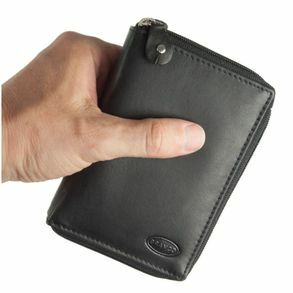 And there even is an additional slip pocket, e.g. for your debit or credit card. You could also keep e.g. 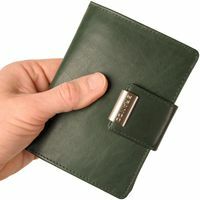 discount coupons or stamps in here. 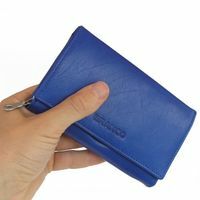 A zipper runs all around the coin pocket as well as around the main compartment with the compartment for notes and the many slip pockets. That way everything is always well-arranged and kept safe. 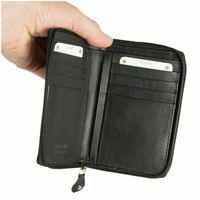 The soft cow leather lies very nicely in your hand and is very well made. You will enjoy thes nice folder for a long time.